Running with the right shoes is essential to prevent small injuries and for having a great training. The runner should never underestimate the choice of what you put at the foot:the selection must take into account the posture of foot, the weight, the kilometers normally done, the speed and intensity of training, the type of usage (asphalt, dirt, track, workout or race). The shoes on the market, to be more easily identified according to your needs, are divided into several categories: two pairs of running shoes belonging to the same category have similar characteristics that go beyond the brand. They weigh between 150 and 300 grams and they are designed to let free to move the joints of the foot in a natural way. They are very comfortable and useful to correct some posture problem. As you might guess from their name, these are shoes manufactured using less material, with soles made of a single layer, very light. They don’t come with a shock absorber so your legs could suffer. They are suitable for progressions and quick short races. Very light, weighing less than 250 grams, they have little soles. They are suitable for light runners (60-65 kilos), which run faster on smooth surfaces, without problems regarding the support of the foot. This type of runner doesn’t need so much shock absorbing material in the sole. The super-light shoe allows you to limit the weight that you are carrying, therefore it will be easier on the muscles. These shoes are slightly heavier than the previous ones, weighing between 250 and 290 grams; They have a thicker sole and more cushioning. 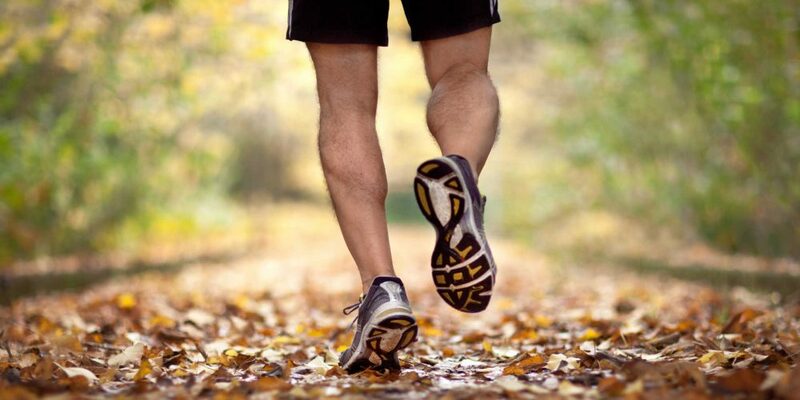 They are recommended for runners who do not exceed 80 kilograms in weight. These shoes are suitable for fast workouts and races at moderate pace. On the market one can find many models, so it is easy to find one that suits your needs. The shoes to start running are these: weight from 290 to 390 grams, excellent shock absorbing capacity. Suited for races that exceed 10 kilometers and also for runners that exceed 80 kilograms. Widespread among young people, A3 are suitable for those who practice regularly race and needs a powerful cushioning. The A4 are heavy and protective shoes with thick soles including shock absorbers. They are perfect for runners who run slowly (over 5 minutes per kilometer) and for heavy ones. These are also suitable for those with problems of pain to back or heels. Recommended to runners who consume more the shoe in the inside. They are lightweight, breathable, can be waterproof. Suitable for off-road racing, they have a sole that can manage the most uneven and slippery surfaces; They absorb impacts with the ground while ensuring maximum grip both uphill and downhill. And they are well cushioned.